Yesterday, my mom, my siblings and I went to the mall to have our photos taken for our visa application for Korea. Since we had to wait for the photos to get developed, we decided it would be a good idea to check movie schedules. It has been a while since the family saw a movie together on the big screen. We'd usually just watch a DVD at home then go to sleep right after. 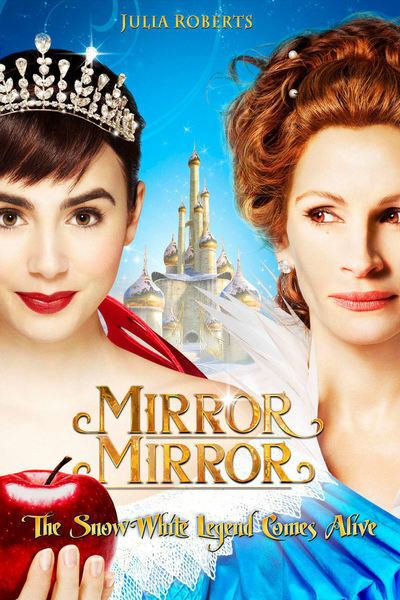 Anyway, we ended up buying tickets to Mirror Mirror. My brother wanted to watch Wrath of the Titans, but I had already seen it with my boyfriend and his siblings, and my sister was more interested in fairytales than action films. He was outvoted 3-1 so he had no choice but to watch Mirror Mirror with us. Better luck next time, Bro! :D We then headed to Gelatissimo (my favorite place in TriNoma) since we still had some time before the movie started. There are lots more to look forward to in that movie. If you haven't watched it yet, I suggest you do so this weekend. Go spend some fun family time this Holy Week :) Have a blessed one!